By far one of our favourite lodges for the year, the recently renovated Ivory Lodge is an architectural masterpiece that has, in our opinion, perfected the hotel suite. 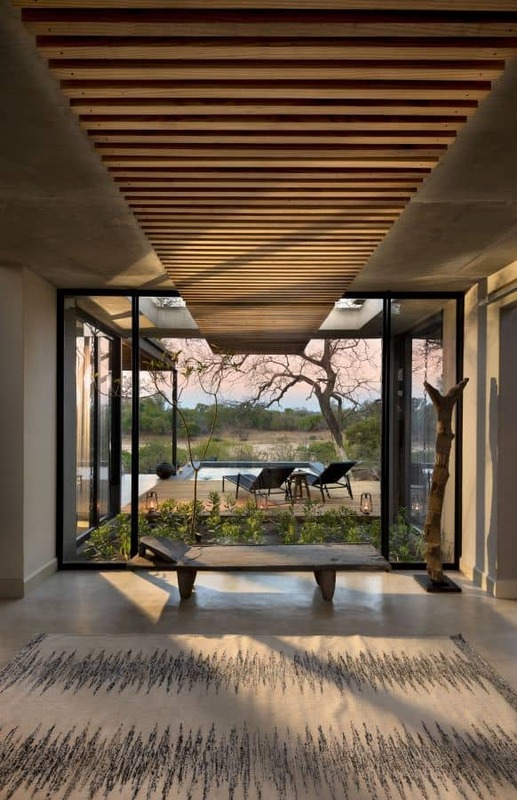 Cooling concrete floors are met with panoramic glass windows that look over a river filled with hippopotamus. Furnishings are comfortable yet chic, and sliding wooden doors soften and accent the industrial aesthetic. There’s a sliding window for pre-game viewing snacks to be discreetly left in the morning, an open mini bar and the room is stocked with binoculars, a plunge pool and a huge indoor and outdoor bathroom. Needless to say, you will not want for anything during your stay at Ivory Lodge. WORDS Rhiannon Taylor of In Bed With Me rates her top beds.